Co-published with Kappa Delta Pi, The Power of Teacher Leaders provides a comprehensive resource for understanding the ways that teacher leaders foster positive change in their schools. Distinct from school administrators, teacher leaders are professionals who remain in the classroom and use their specialized knowledge and skills to improve student achievement, influence others, and build organizational capacity. 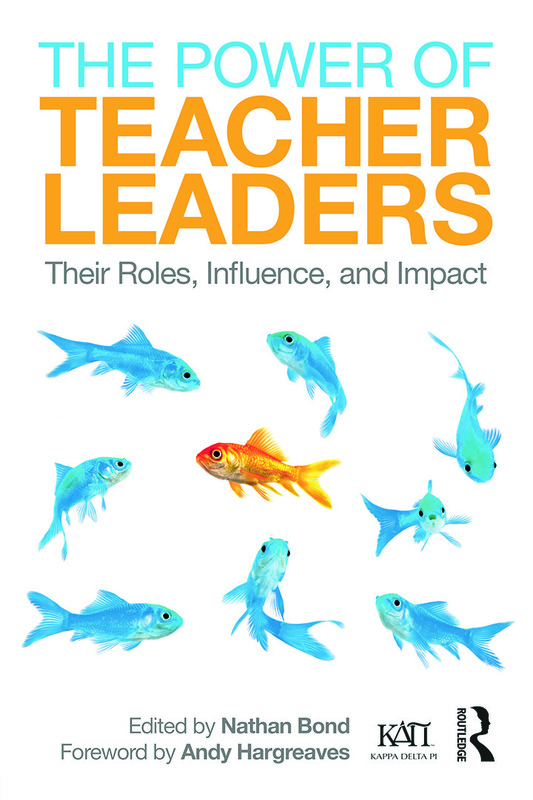 Written by leading educational researchers, each chapter of The Power of Teacher Leaders describes a different way that teachers are leading. Moving beyond the question of why teacher leaders are important and how such work is implemented, the contributing scholars to this collection offer a critical examination of the field by presenting original research, case studies, and programs in practice. Topics covered include how teachers become leaders, their wide-ranging leadership roles, and the effects of teacher leadership on student academic success and school communities. A cohesive edited collection, this book demonstrates how teacher leaders play an increasingly active role in the improvement of student learning, teacher professional development, and school climate. Part I: Becoming a Teacher Leader. 1. Teachers at the Forefront: Learning to Lead. 2. Stepping Up: How Teachers’ Definitions of Teacher Leadership Change. 3. Teacher Leaders and the Art of Self-Mentoring. 4. Maximizing Teacher Leadership: The Principal as Facilitator. Part II: Roles of Teacher Leaders. 5. Teacher Leaders as Professional Developers. 6. Mentors as Teacher Leaders in School/University Induction Programs. 7. The Special Education Teacher as a Servant Leader. 8. Teacher Leaders in Curriculum Reform: Integrating the Expressive Arts. 9. Teacher Leaders as School Reformers. 10. First-Year Teachers: New and Ready to Lead! 11. Classroom Teachers as Team Players. 12. Teacher Leaders Internationally. 13. National Board Certified Teachers as Leaders. 14. Cooperating Teachers as Leaders in the Accreditation of Educator Preparation Programs. Part III: Influence and Impact of Teachers Who Lead. 15. Leading as a Moral Imperative: Learning from Culturally Responsive and Socially Just Teachers. 16. The Role of Inquiry in Teacher Leadership. 17. Measuring the Impact of Teacher Leaders. 18. The Impact of Mentors as Teacher Leaders in Induction Programs. 19. The Impact of Teacher Leaders on Students, Colleagues, and Communities: Insights from Administrators. Nathan Bond is Associate Professor of Curriculum and Instruction at Texas State University, USA. Download Instructors Guide PDF on The Power of Teacher Leaders here.